Less than a month after it told 15 provinces to stop building coal power plants, the Chinese government is now looking to massively curtail coal power plant approvals. 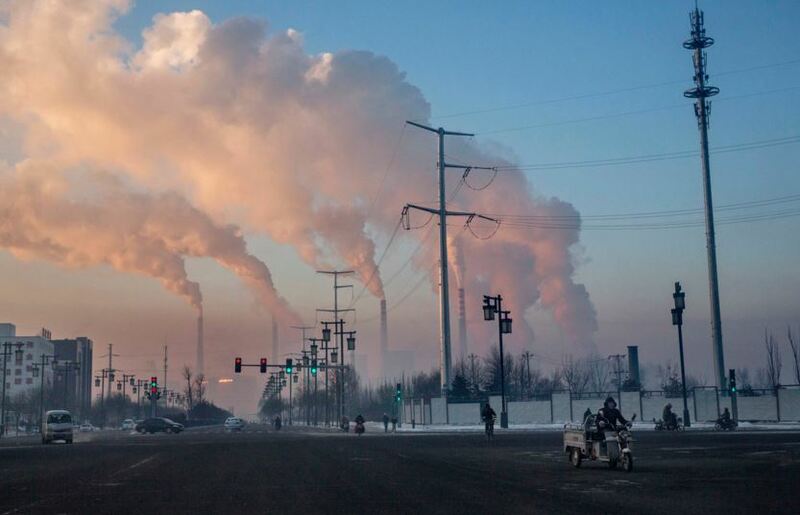 According to reports in the Chinese press, the National Energy Agency (NEA) will introduce a new policy mechanism that will tell 28 out of China’s 31 mainland provinces they should suspend approvals for new coal plants. A quickfire Greenpeace analysis has found that the policy – dubbed the ‘traffic light’ system – would halt 90% of coal power plants currently seeking approval. The list of ‘red light’ provinces includes Inner Mongolia, Guizhou and Shanxi, the three with the most coal capacity in the permitting process, as well as the 8 with the most under construction. The provinces Jiangxi and Anhui can still green light coal projects, and so can the island of Hainan. Meanwhile Hubei has been classified as ‘orange’ — meaning it’s somewhere in the middle. This new policy comes as China wrestles with a huge coal overcapacity crisis. Earlier this year Unearthed revealed that 210 coal-fired power plants with a total capacity of 168GW were granted approval in 2015 alone. Those plants will not be stopped by this latest measure. The overcapacity has gotten so bad – reportedly reaching 20% – that the government has this year announced it will stop building already approved coal plants in 15 provinces and stop opening new coal mines until 2019. The ‘red light’ is designed to stop overzealous provincial governments from approving coal capacity they don’t need. The system is reportedly based on three factors, with provinces assessed on the profitability of their coal-fired generation, their existing coal capacity and their ‘resource constraints’. This last one means, for instance, that coal projects around Beijing will be suspended on the grounds of air pollution, but it can also refer to things like water scarcity, a big problem for the provinces in western China. After adding these together, each province is assigned a colour to signify the viability of their coal pipeline. Red, as you’d expect, means no new coal projects should be permitted. Orange indicates local governments and coal companies should tread carefully. And green says that everything is pretty much okay.